The Spidertrax Blog » Prototype Pro Series Rotor spy shot. Home > Prototyping, Ultra4	> Prototype Pro Series Rotor spy shot. Prototype Pro Series Rotor spy shot. 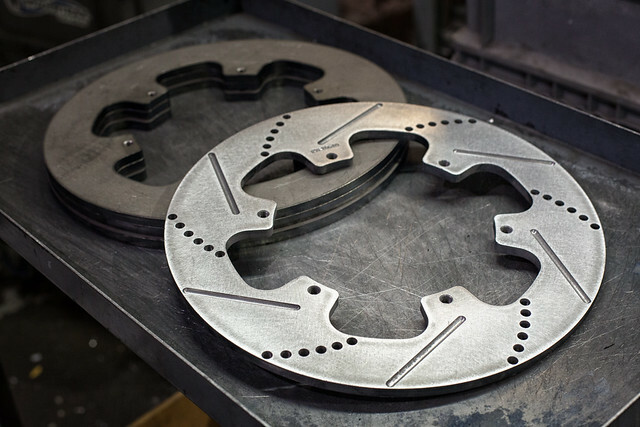 It was a busy weekend, but we’re now wrapping up the first set of prototype Pro Series Rotors. Next up, double disc grinding, then they’ll be ready for Glen Helen. Be sure to check out yesterday’s blog post for more rotor details.